When you want your gift to make a big impression, give them this fun Balloon Bouquet. The bouquet arrives with 2 mylar balloons surrounded by 6 latex balloons and tied together with a ribbon. 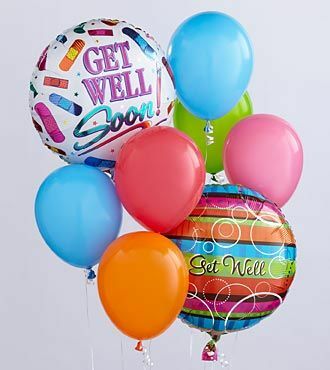 The get well mylar balloon designs may vary according to availability.